We wanted somewhere peaceful yet within easy reach of the sea, markets etc. The house is perfect in every way, very comfortable for a relaxing holiday with everything that you would need. Very airy and with beautiful views and incredibly quiet at night, we slept very well! The walk down to Sanary harbour is breathtaking... the views, the chapel. The daily market is excellent for food to have a wonderful meal in the evening or a picnic in the next bay. Would definitely recommend this apartment. This was heaven on earth! There is no way to adequately describe how perfect this apartment is. It is perfectly located and equipped. The view of the sea and lovely balcony for evening candlelit dinners are perfect. It is an easy and lovely walk on a cobblestone walking path to town and the nearby beaches. We will remember these two weeks until we are lucky enough to return again. Sylvia Logan and her representative here in Sanary were most helpful and responsive. Truly a piece of heaven on earth. 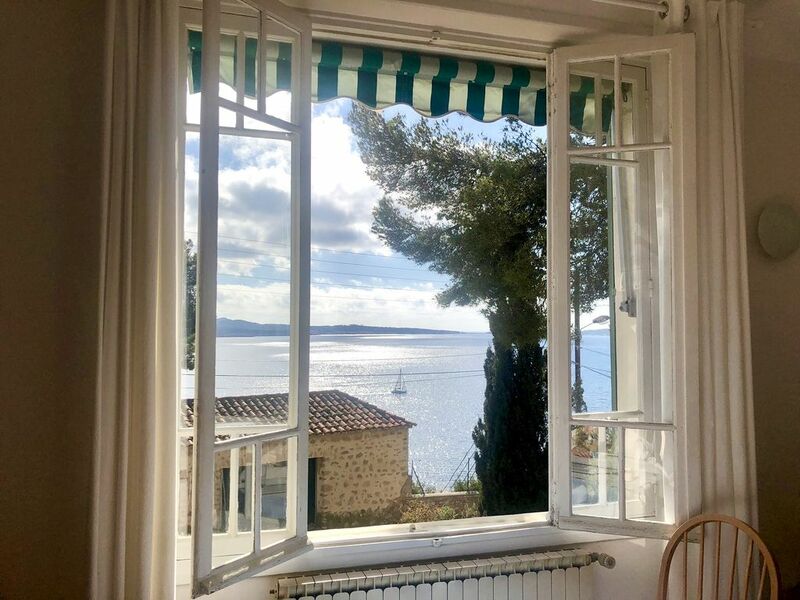 This apartment is light, airy, and very comfortable with high ceilings, beautiful long windows, and a cozy deck overlooking the Mediterranean. Our family of four loved hanging out here, cooking, reading, and watching the World Cup. Sanary-Sur-Mer is a lovely village, not built up like Bandol but busy and responsive to tourists nonetheless. The beaches are perfect, the markets are mind-blowing, and the vibe is relaxed and real -- and all of it is within easy walking distance. Sanary is spectacularly beautiful. We loved our two-week stay here. It was really difficult to leave. Sehr netter Kontakt mit der Besitzerin Sylvia, genau wie der freundliche Empfang durch Mme. Joffre. Die Wohnung ist geschmackvoll und praktisch eingerichtet, der Blick aufs Meer wunderbar. Mit einem Wort, es fehlt an nichts für einen erfolgreichen Aufenthalt.